↑ Jonson, Lena (1976) Tajikistan in the New Central Asia, I.B.Tauris, ISBN 085771726X, p. 108: "According to official Uzbek statistics there are slightly over 1 million Tajiks in Uzbekistan or about 3% of the population. The unofficial figure is over 6 million Tajiks. 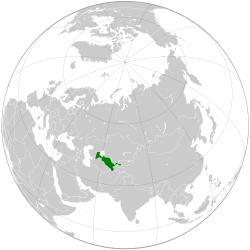 They are concentrated in the Sukhandarya, Samarqand and Bukhara regions."